Interaction with the industry not only helps the students learn about the contemporary industry scenario, but also enables them to seek inspiration to stimulate their brainwaves from the businessmen’s experience and point of view, who have been lucrativelysupervising their companies. Perceiving the same motive, the Executive Post Graduate Programme in Management (EPGP) Corporate Interaction Committee came up with an EPGP iKON Guest Lecture Series lately. 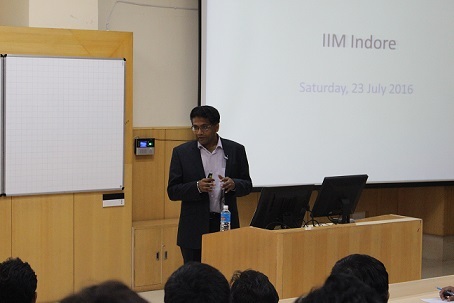 The fourth lecture in this string was conducted by Mr. Vetri Subramanian, Chief Investment Officer, Invesco Mutual Fund on July 23, 2016. 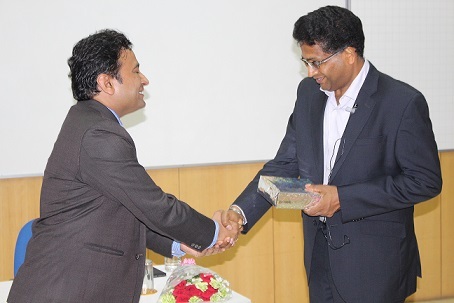 Mr. Subramanian shared his views on the theme – ‘Science of Investing’. Mr.Vetri Subramanian began his talk discussing the global panorama in relation to investing and how the world is lacking growth. He mentioned about the position India holds, in this world ‘short of growth’, bearing in mind the investment policies. ‘Glancing at the current state of the global economy, India can be considered to be in a sweet spot and it has a very strong potential for sustainable growth. It’s time that the policy makers should now shift towards addressing structural issues through fiscal policy, for the reason that monetary policy might be ineffective in the long run’, Mr. Subramanian said. Mr. Subramanian threw light on a significant point that it is unattainable to achieve parallel levels of GDP growth with existing lower global population growth. He also highlighted how there has been an evident shift in the importance of the traditional approach of policies; to those policies which address productivity. Mr. Subramanian recommended a new policy arsenal which is vital to amplify the per capita productivity. He mentioned a few booming companies where the wealth is inexplicably shared between smaller set of population. Quoting Warren Buffet, Mr. Subramanian said, ‘Investing is simple but not easy’. He concluded his talk answering questions raised by the participants and sharing his personal experiences as well when he was a student. 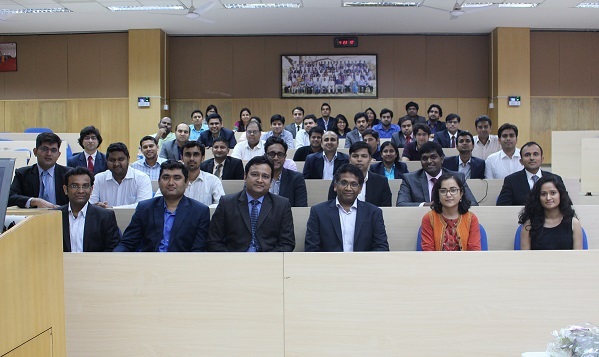 The talk was attended by the students and faculty of IIM Indore.